Minas Gerais has a strategic geographical location, the largest highway Network and the second largest railroad system of Brazil. The most important airport in Minas Gerais is BH Airport, 30 km from Belo Horizonte. It is one of the five largest in the country, with over 10 million passengers a year, and international flights to Europe, the US, Central America and South America. 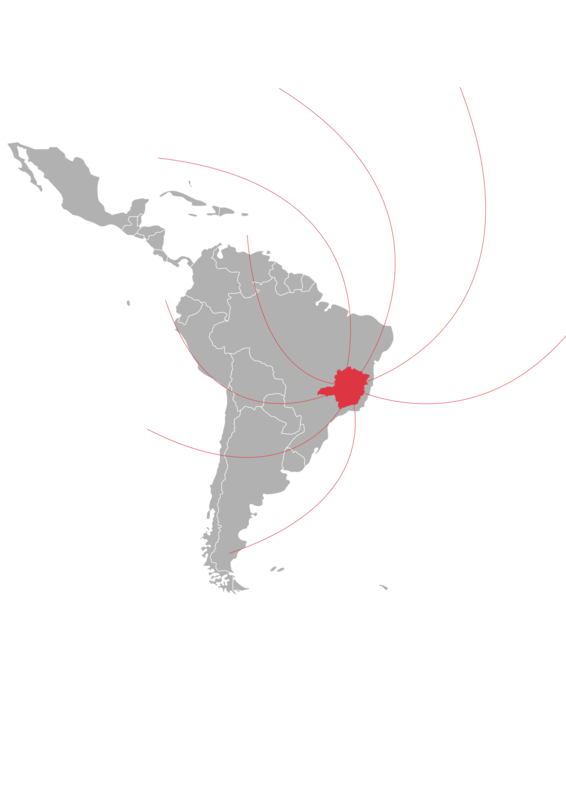 Other airports with commercial flights are: Pampulha, in Belo Horizonte, Ipatinga, Juiz de Fora, Montes Claros, Uberaba, Uberlândia and Varginha. Minas Gerais has 5 dry ports in Betim, Juiz de Fora, Uberaba, Uberlândia and Varginha. These enable speedy customs clearance. Minas Gerais has over 690 enterprises in electricity generation. They are able to generate over 15 GW of power to over 8 million consumers (industrial, commercial and residential). Most of the energy is renewable, mostly from hydroelectric plants which produce about 80% of the energy. CEMIG is the main generator and distributor of electric energy in Minas Gerais. The concession area of Cemig Distribuição S/A (Cemig D) covers about 96% of the state. The main supplier of water and sewerage services in Minas Gerais is Copasa. Its main activity is water supply and sanitation from planning and project design through to execution, extension, remodeling and exploitation. There are over 880 km of natural gas distribution piping in Minas Gerais, with a daily supply of over 4 million m³ of gas to homes and industries. Most consumers are in the cities of the Greater Belo Horizonte Region. Gasmig is the only distributor of natural gas in the state, servicing industries, general use, homes, compressed natural gas, liquid gas, automotive and thermo-electric. Minas Gerais has plenty of real estate, land and buildings for commercial and industrial use. (INDI has a database of real estate with about 324 million m² of land and 550 buildings and warehouses. The institute has a customized research service for land and properties).